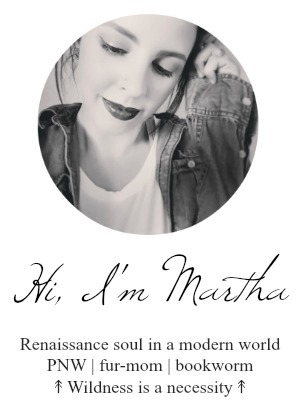 I am super excited to bring you this post! 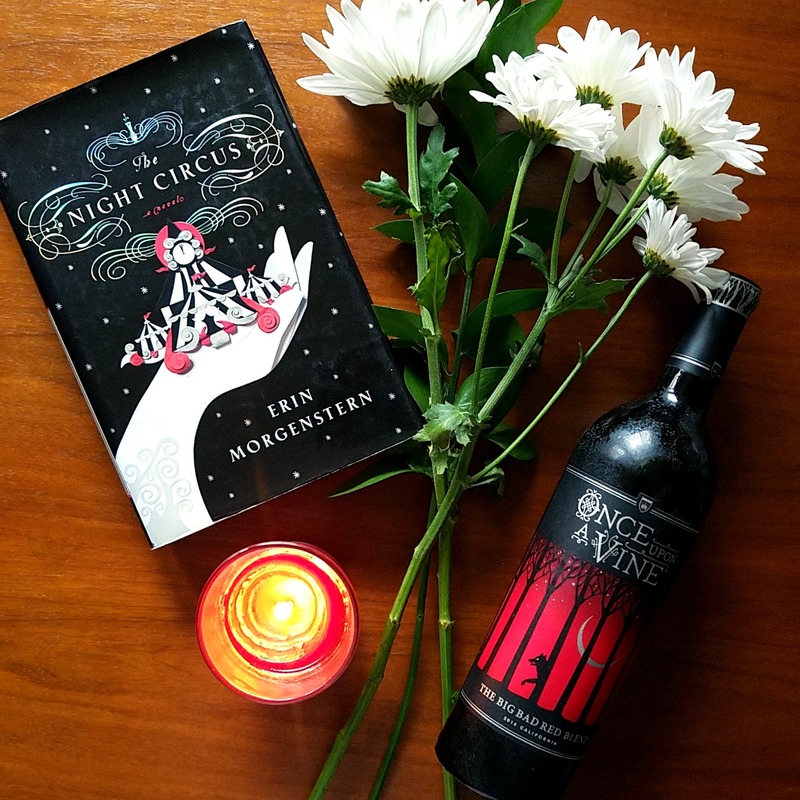 After seven long years, we’ve finally gotten news that Erin Morgenstern, best-selling author of The Night Circus, is bringing us a new novel. The Starless Sea isn’t set to release until November 5th, 2019, but I imagine pre-orders for this book are already through the roof! Happy Monday everybody! How’s this for some #MondayMotivation: a giveaway for your choice of protein powder from Naked Nutrition! Naked Nutrition crafts protein powders with no unnecessary additives like extra sugar, coloring, or other extra junk. The result is a stripped-down product perfect for mixing into smoothies, mixing into baked goods, or adding to other healthy recipes. 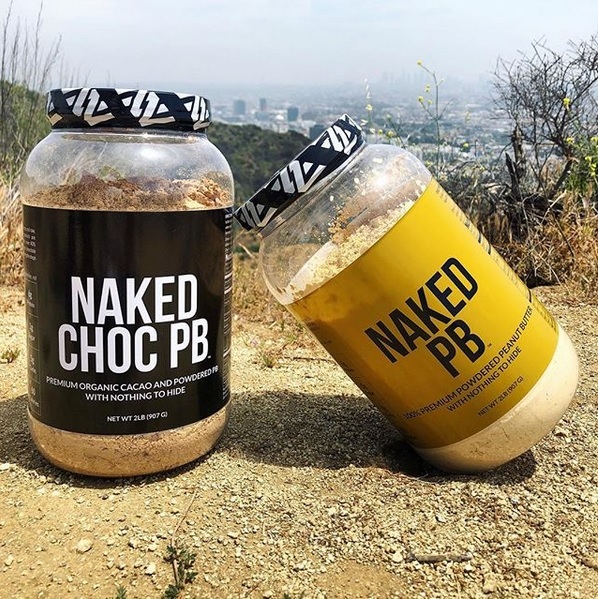 Naked Nutrition also offers a variety of protein powders to suit your preference including fully vegan pea, rice, and peanut butter proteins, so you can choose the protein source best suited to your lifestyle. Now that summer is here and I’m more active—heading to the beach, hiking, or just running errands around town on my bike—I’m trying to be more mindful about what I’m eating. Mixing protein powder into a smoothie or baking it into breakfast cookies helps me ensure I’m fueling up with a healthy snack, even if I don’t have a lot of time to eat. The lean protein supports my muscles through all of those summer activities (and let’s face it, I need the help after a long winter spent indoors doing much lower-impact workouts!). Plus, it helps keep me satisfied so I’m not tempted to nosh on unhealthy treats while I’m on the go. Check out Naked Nutrition on Instagram and Twitter, then enter below to win your choice of one of their protein powders. The giveaway is open to U.S. residents through next Monday, May 28th, and the winner will be notified by June 1st. Good luck! Happy hump day everybody! I’m excited for Halloween being just around the corner, so I wanted to share a flash giveaway with you guys. This will only be open through Saturday, so get your entries in now! 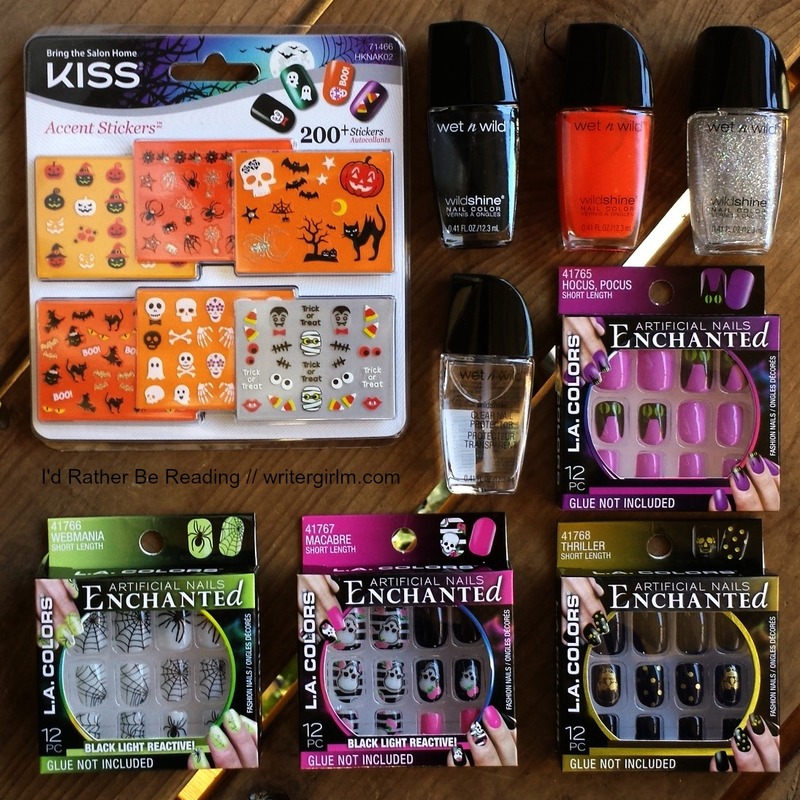 One reader will get the Halloween nail goodies pictured above, with polish, stickers, and glue-on nails to choose from to complete your Halloween look. U.S. readers only. Good luck! ITS FALL, Y’ALL! I am soooooooo excited for the start of September! While I find something to love about every season, there’s no denying that autumn is my favorite. Pumpkin lattes, cozy scarves, and long hikes through autumn leaves—I love it all! I know the official start of fall is still a few weeks away, but I couldn’t wait any longer to start celebrating. I’ve also been wanting to do a little giveaway to celebrate getting back into blogging. And finally, school is starting back up—and whether you’re heading off to school yourself or packing up your kids for another year of classes and activities, I bet you could use some new beauty goodies to freshen up your routine for a busy new season! So, I’m giving away a bundle of beauty loot from Tarte! 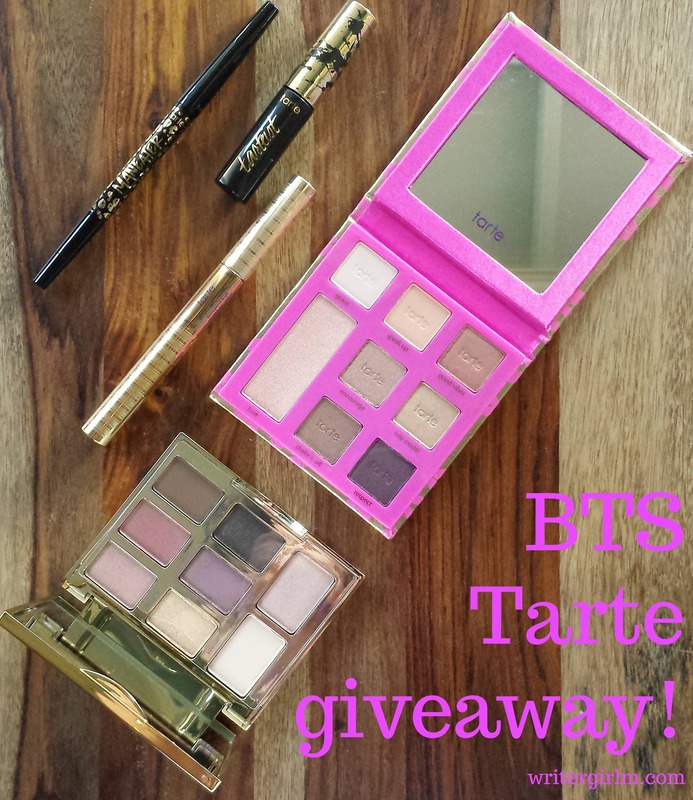 One lucky reader will win a Tarte Dream Big Eyeshadow Palette, Leave Your Mark Eyeshadow Palette, Maneater Self-Sharpening Liner in Black, Tarteist Lash Paint Mascara in Black, and Arch Architect Brow Pencil & Gel. The Tarte cosmetics giveaway is open internationally and will run through September 10th; you can enter as many times as you like using the Rafflecopter widget below. Good luck! April 2017 Julep Maven unboxing + GIVEAWAY! It feels like forever since I shared a Julep box here on the blog! Well, actually it’s been about six months…but that’s still a long time! I skipped a few boxes this winter and actually haven’t been polishing much in general because my nails have been in bad shape. But now they’re healthy again, and I had some Jules to use toward a monthly box, so I thought I’d treat myself to some new polish! 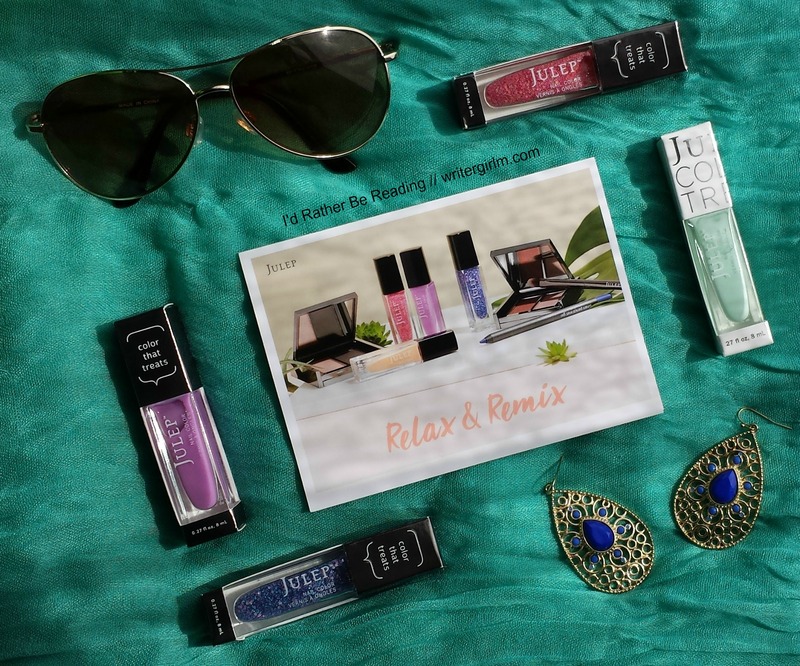 Check out everything I got in my April 2017 Julep box, and make sure you enter my giveaway to win some Julep polish of your own!